Australian rules football, or Aussie Rules, is known as one of the toughest sports in the world. The combination of running, ball skills and the physical element of the game makes for a great spectacle. Athletes of the Australian professional league, an incredibly high-intensity league, are considered some of the fittest and strongest in the world. The same intensity has made it hugely popular to watch, expanding its reach beyond the borders of Australia: it’s now played in many countries around the world, particularly around Asia and North America. Originally played in Melbourne in the 1850s, the sport actually predates other forms of football in establishing a code of rules. The sport cemented its place in Australian culture when the Victorian Football League changed its name to Australian Football League (AFL) in 1990. 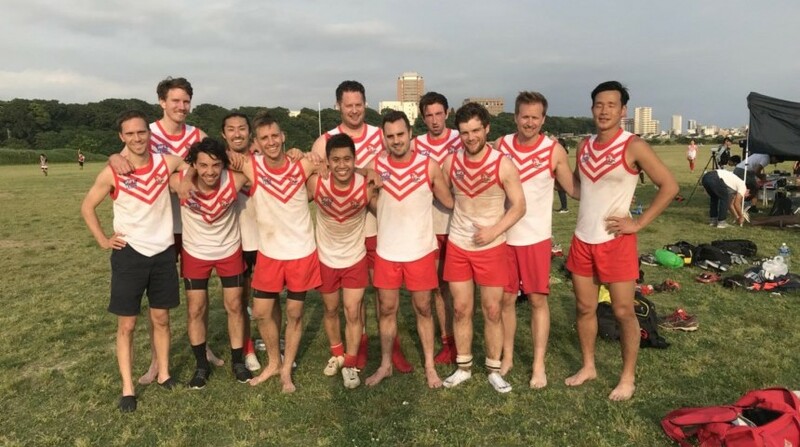 In Tokyo, five teams make up the Australian Rules Football League in Japan (JAFL): the Senshu Powers, Eastern Hawks, Komazawa Magpies, Tokyo Bay Suns and Tokyo Goannas. We often have the opportunity of playing internationally against teams based in other Asian countries such as Hong Kong, Singapore and Indonesia. The teams generally play twice a month (on weekends) from April to November, with a welcome summer break during August due to the summer heat. 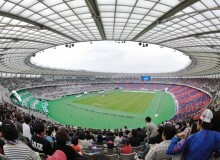 There are also other University-based teams in other locations, such as Osaka and Tohoku. 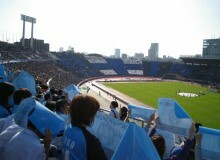 Currently, the strongest team in the Japanese league are the Tokyo Goannas, formed in 1991. Having won the championship trophy a record 11 times, it is considered the premier team. The Goannas are led by a very experienced and knowledgeable coach, who guides the team on training and match days. Displaying the discipline that reflects Aussie rules’ intensity, the Goannas train on weekends when they are not playing. The coach and players are very enthusiastic about teaching and instructing newcomers to the game. The teams are made up of various nationalities of players with an interest in the sport. The diverse group includes Australians, Japanese and Irish, as well as the occasional American and Canadian, which makes for an enjoyable environment to play together, meet new people and enjoy a bit of true Australian culture in Japan. 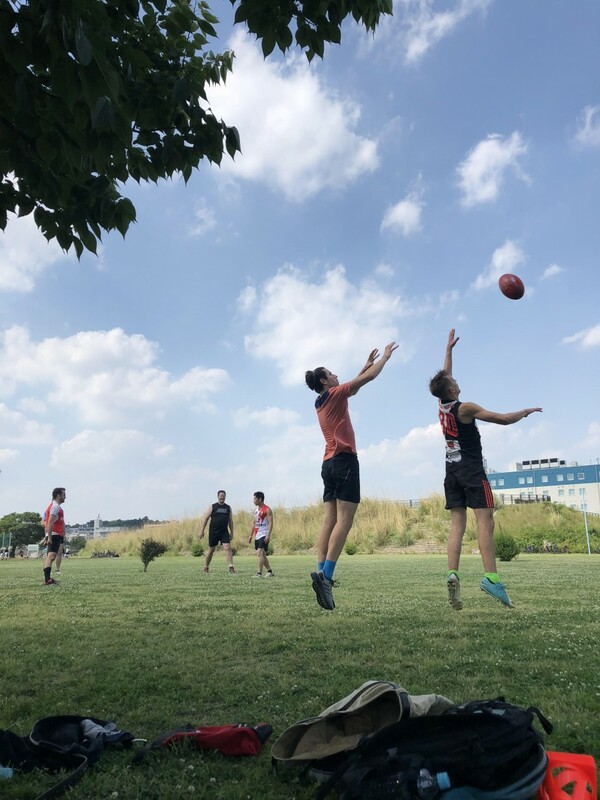 Through the support of the semi-professional Box Hill North Football Club (based in a suburb located in the East of Melbourne), every year one Japanese player receives a scholarship to train and play in Australia. This is a great opportunity for anyone selected—it would be great to see a Japanese player make it to the professional AFL league in the future. Our local league is very competitive and well organized, but at its core, the JAFL is essentially a fun group of people who are all very friendly and welcoming. Anyone with an interest in the sport should contact one of the teams directly to get involved. It’s a blast and a great community to be involved in. SportsCan Tokyo Teams Succeed This Season?